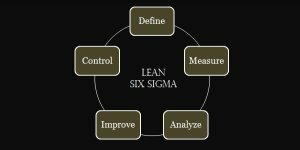 Lean Six Sigma Black Belt Six Sigma Certification demonstrates one's ability to achieve process excellence initiatives, delivering increased profits to an organization. Simplilearn offers both online Six Sigma Black Belt training and Lean Six Sigma Black Belt classroom training. We are accredited by PeopleCERT Group and our course content is aligned with ASQ Body of Knowledge. Lean Six Sigma Black Belt Certification is a blended certification of Lean and Six Sigma offered to professionals who successfully qualify the LSSBB exam. Lean suggests reducing waste and Six Sigma suggests reducing variations in the process and together, Lean Six Sigma helps a company in achieving their process excellence initiatives, delivering increased profits to an organization. Lean Six Sigma Black Belt certification demonstrates one’s ability to deploy skills in enterprise wide projects and approach for full time process excellence roles. Lean Six Sigma Black Belt exam is conducted by Simplilearn. The exam fee for LSSBB is Rs.8500 for India and $350 for US and overseas locations. •Trusted by employees of Fortune 500 companies as their learning provider for career growth and training. •We follow a Global Learning Framework which has proven to deliver results and has been perfected by our experience in training a million learners. •2000+ certified and experienced trainers conduct trainings for various courses across the globe.